Deity Yoga in Tibetan Buddhism is very often misunderstood. In apparent contradiction to the implied meaning of “deity” — which is really a mistranslation of the Sanskrit “deva” — there might, in fact, be more science than superstition to the practices of deities. It’s a ridiculous notion, I know, but one I hope to support at least on a practical level — please, bear with me. Thousands of years ago, Shakyamuni Buddha taught a self-help path to Enlightenment, which included many parallels to modern scientific method. As recorded in the Kalama Sutta, Buddha said: “it is proper that you have doubt… do not be led by reports, or tradition or hearsay.” Scientific method, clearly. In fact, Buddhism is often described as the “pure science of mind.”  Thousands of years before Einstein, Buddha already taught the notion of relativity — at least in the sense of relative truth versus ultimate truth, and concepts such as Emptiness. (I know that has nothing to do with E=MC2, but I’m having fun with this.) While I’ll admit that’s a stretch, the Heart Sutra’s teaching’s on Emptiness parallel some of science’s later theories as embodied in Quantum physics. Even if we accept that Buddhist philosophy and science can be complimentary, what does all this have to do with Deity Yoga? Why meditate on deities at all? What could possibly be scientific about deities? It’s fine to point to some loose parallels between Buddhist thinking and modern quantum theories, or to use ancient meditation methods in modern medical treatments. But isn’t there more superstition than science to things such as popular Tibetan Buddhist Deity Yoga practices? In colorful language, the Tantras describe a vast cosmos filled with millions of Buddhas, Bodhisattvas, Dakinis, Dakas, Protectors, Pure Lands, gods, goddesses, and even speaks of hell realms, zombies, hungry ghosts, and terrible demons. How can this be anything but superstition and religious dogma? Deity practice is a visualized meditation that helps us work on our own minds. 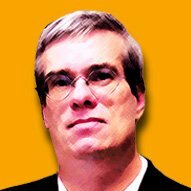 It is not the “I” pleading with the “other” (i.e. deity) — which would be religion or faith — but rather, the “I” trying to see things as they really are. The advanced concept of Emptiness is important in understanding that deity yoga is not about fantasy worlds of gods and demons. Emptiness — not to be confused with nihilism — in part acknowledges the fallacy of inherent existence. 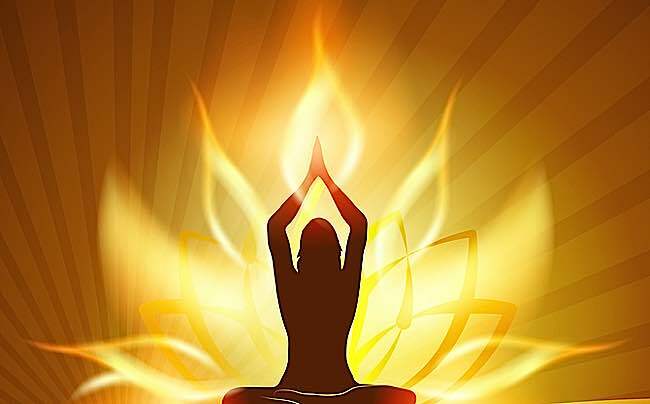 Emptiness is a vast topic, discussed elsewhere, but it is a concept that must be embraced to even practice Deity yoga. Neither the self nor the deity have inherent existence. 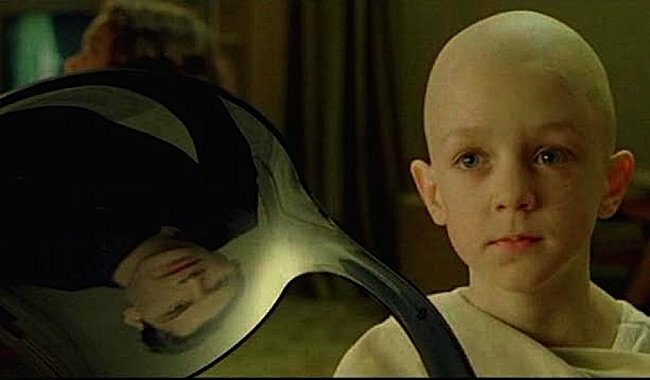 In the movie The Matrix, in a scene with a young monk who can bend spoons with his mind, the young monk says, “Do not try to bend the spoon — that’s impossible. 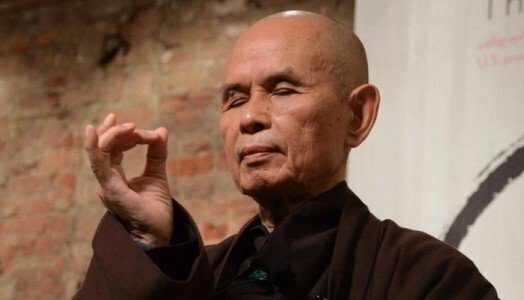 Instead, only try to realize the truth.” Neo, the protagonist, asks, “What truth?” The monk says, “There is no spoon.” The entire movie is a journey into seeing the world as it really is. In Vajrayana, or Tantric Deity practice, one of the goals is to help our minds break down “ordinary appearances” and understand them for what they really are. 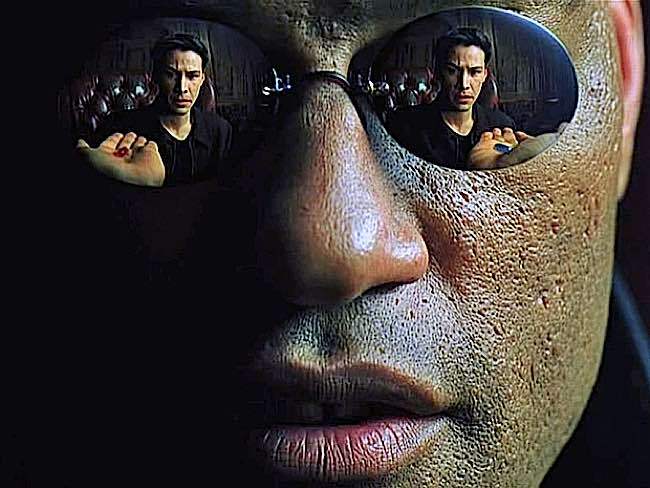 In the most recognizable scene in the movie the Matrix, Neo’s “teacher” Morpheus asks him to take the blue pill or the red pill. “You take the blue pill, you wake up in your bed and believe whatever you want to believe. You take the red pill, you stay in wonderland and I show you how deep the rabbit hole goes.” Vajrayana is the red pill. Venerable Zasep Tulku Rinpoche teaching students at Dorje Ling (Tashi Choling) in Australia. Rinpoche is spiritual director of centres in Canada, US, Australia. 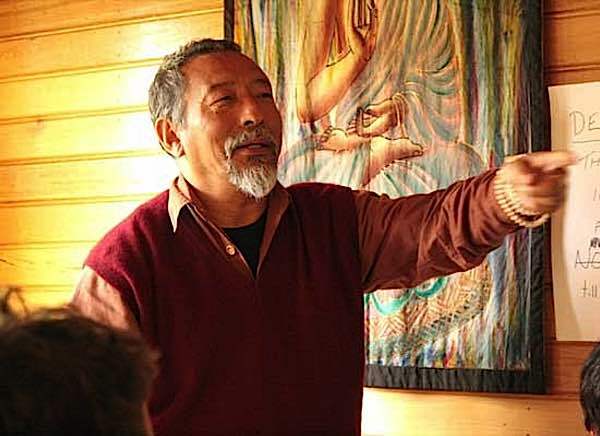 In a wonderful interview with Buddha Weekly, Acharya Zasep Tulku Rinpoche, spiritual head of Gaden for the West and Gaden Choling, explained how in Deity practice we always start with meditation on emptiness, acknowledging all things, self and deity, are ultimately empty: “…every time you do any of these practices, first you meditate on emptiness. 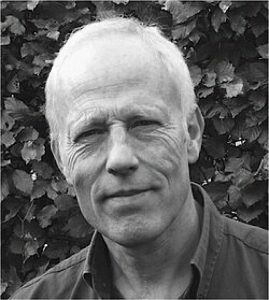 Rob Preece is a working psychologist, author of several books, and Buddhist teacher. In other words, deities are enlightened visual expressions, used in meditation to transform our own egos. 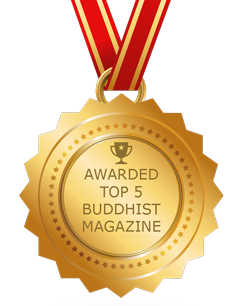 In Buddhism, we honor the body, speech and mind of Buddha. Enlightened mind is — at the ultimate level — one essence, regardless of manifestation as this or that deity. In other words, Tara, Vajrayogini, Avalokitesvara, and all the deities, at an ultimate level are one essence, or put another, have all the same qualities of Enlightenment. Manifestation as visual deities are “body” of Buddha — but ultimately these too lack “inherent existence.” The speech of the Buddha is Dharma, the teachings, which include sophisticated concepts such as emptiness. Throughout history, Buddhism has remained the “impartial investigative” spiritual path, deliberately not seeking refuge in dogma, magic, superstition. Non-Buddhists (and Buddhists) are often confused by the seeming contradiction of an vast pantheon meditation deities: Buddhas, Bodhisattvas, Deities, Yidams, and so on. There is no contradiction. Buddha taught by skillful means, different methods for different students. Vajrayana deity meditation is an important practical method to accomplish realizations on the nature of reality. 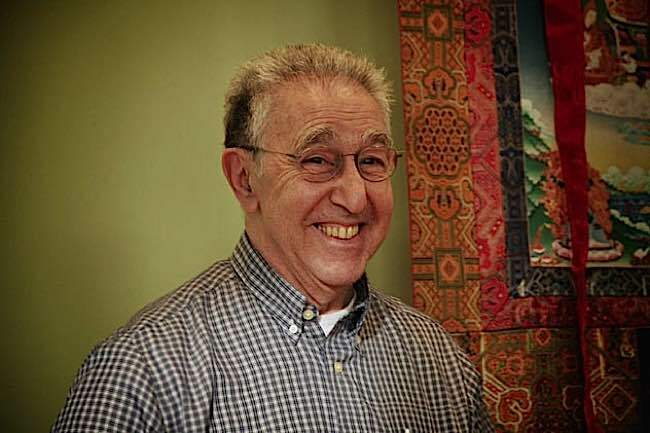 Medicine and psychiatry, has embraced Buddhist meditation methods: as reported by Buddha Weekly previously, Vajrayana Deity meditation has cognitive benefits, possibly even strong potential for people with various forms of dementia. Mindfulness meditation, as taught by Buddha, is a commonly used method in various medical areas, notably psychological therapy, and stress relief. Buddhist sutras, long before Democritus formulated his atomic theory of the universe in Ancient Greece, spoke of an atomic world, and a Universe of many dimensions (similar to some Quantum theories). Famously, the Dalai Lama has embraced science and often speaks of parallels between Buddha’s teachings and science. In particular, quantum physics and Buddhist understanding are often seen as very reinforcing and complimentary. One of my Google alerts on “Buddhism” triggered the idea for this feature. The alert picked up a highly critical feature on Christian Today putting forward the premise “3 common misconceptions about Buddhism.”  Amongst the many misconceptions listed in that feature by junior writer Florence Taylor, she described how she viewed Buddhist deities: “although Buddhism doesn’t speak of God in a Judeo-Christian sense — it does have an elaborate plethora of celestial beings who exist in various heavens and respond to the prayers of the devout.” In an interesting twist, this — together, with most of her listed “misconceptions” — were themselves misunderstandings. It’s been four decades since I was “outside Buddhism looking in,” but this reminded me that I myself might have once held this view. 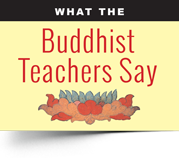 Not only non-Buddhists, but some Buddhists themselves, might similarly misunderstand the practice of deities. Since Buddhism generally doesn’t embrace dogma — often presenting different approaches and “skillful means” that can even seem contradictory — it has room for everyone: from scientists, to atheists, to those seeking wisdom and personal Enlightenment in meditative practices, even to those who are more comfortable worshiping deities. 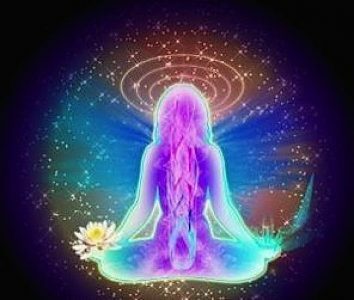 Buddhists who identify as atheists might practice analytical meditation, while, in contrast, some Pure Land practitioners might devoutly worship enlightened beings. Generally, divine in Sanskrit and “higher” in Tibetan refers to the “higher self” not generally a “higher external self-aware being.” Gods entirely misses the mark, as in a self-aware autonomous external being. Deities in Buddhism can be viewed different ways, but the very basis of Buddhist thinking, particularly concepts of non-duality and self. Perhaps the original premise is wrong. It’s not a clear cut dualistic choice: science or religion. Buddhism is far from dualistic. Science is also probably the wrong choice of words. So is religion. Neither really suits Buddhism. 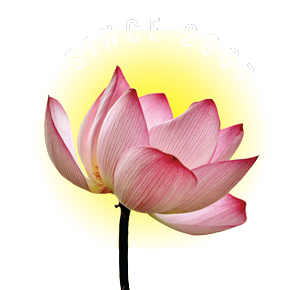 Buddhism is generally not a religion of dogma and worship. On the other hand, a true scientist would laugh at the very idea that Buddhism is scientific. Yet, Buddhism is, ultimately, and intimately, a personal journey. Science, religion, practical or whimsical — it’s pretty much up to the individual. Yet, what is a certainty, is that deity practice is not superstition or magic. The practice of deity is the practice of discovering the true nature of things. On our own terms. At our own pace. With no rights and wrongs. The New Quotable Einstein by Alice Calaprice (Princeton University Press, 2005: ISBN 0691120749), p. 206 and attributed to a letter of 1950, quoted by The New York Times March 29, 197 and by the New York Post November 28, 1972.